Something is always afoot near the Butterfly Garden at the Norris Avenue entrance to Cobb’s Hill. Last night, out of a van jumped Alex White. 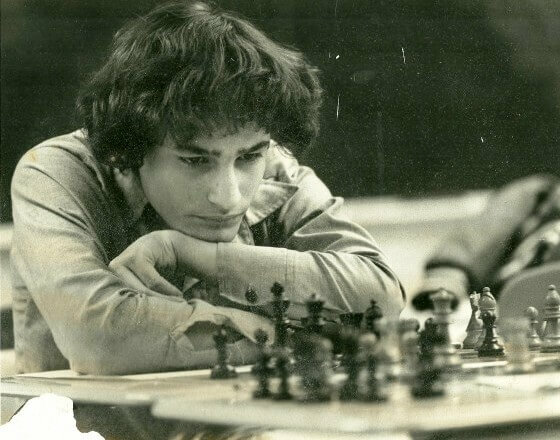 Still smarting from defeat at the hands of his Webster team 35 years ago, I challenged Pawn Alex to a duel. Take that for your co-conspirator at Webster, Gunther, who beat me 35 years ago! Like Brutus, White struck me unawares, still in my street clothes. But not as green as White imagined, I delivered a near lethal checkmate. Alex slumped on the bench. Time for a new caption. As the Pawn slumped on the bench, it was time for a new caption. 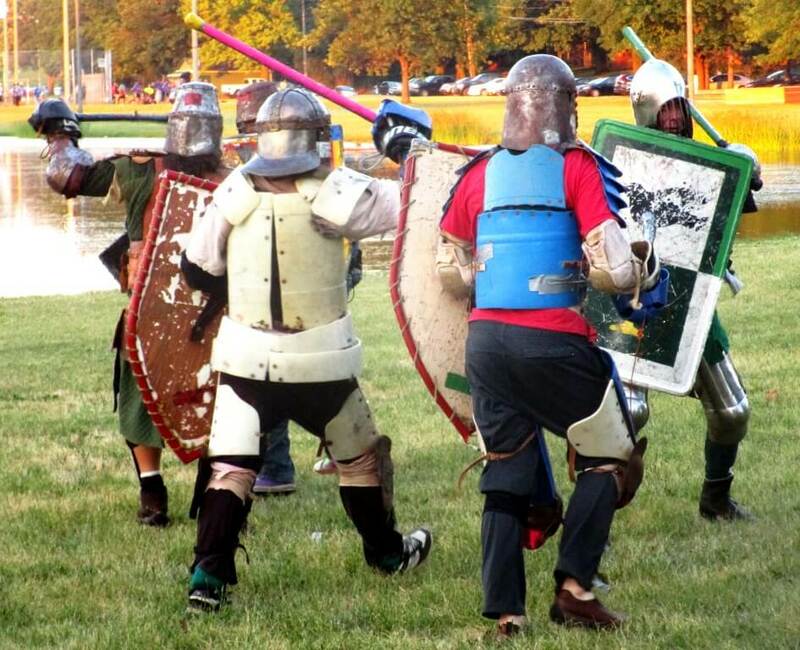 Actually, what I was seeing last night was a gathering of modern day warriors. 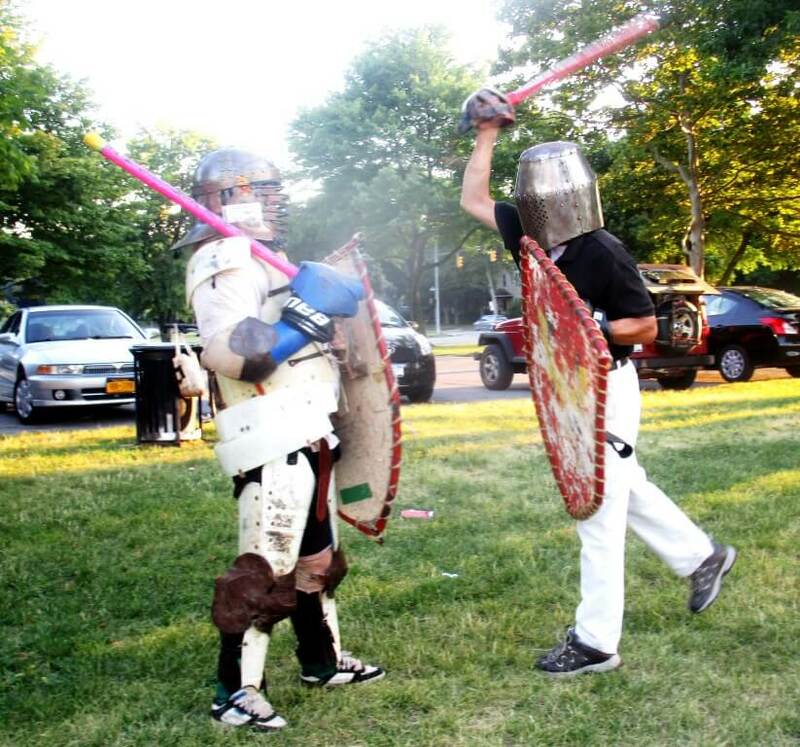 As explained by business owner, activist and Webster chess coach Alex White (who you’ve met before), the group, Gladica, meets regularly to practice their medieval martial arts. 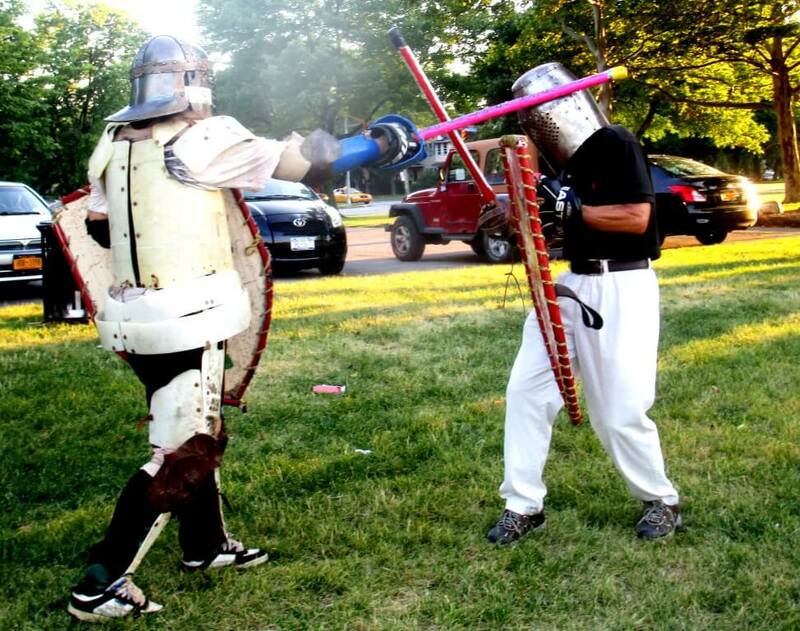 Gladica is part of the Society of Creative Anachronism, a national organization which promotes all things medieval. 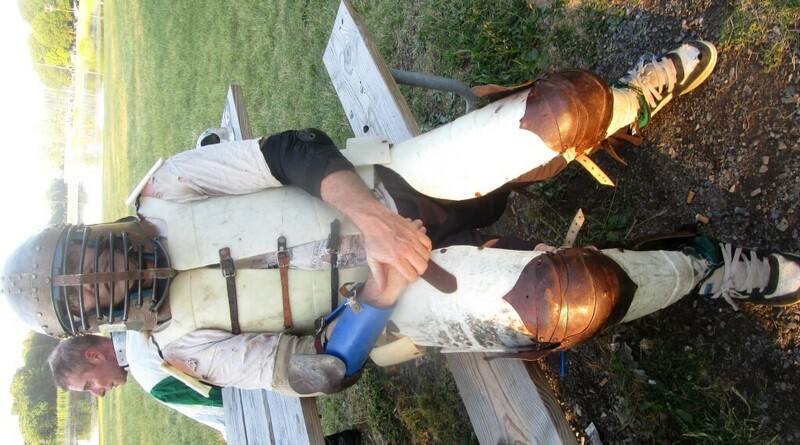 “I liked how Lord Alex put down that serf rebellion with one blow.” (Lord Robert with leg up). “Kramer choked just like he did 35 years ago.” (Novice Ray sitting) Law and order restored, Alex rests in back. 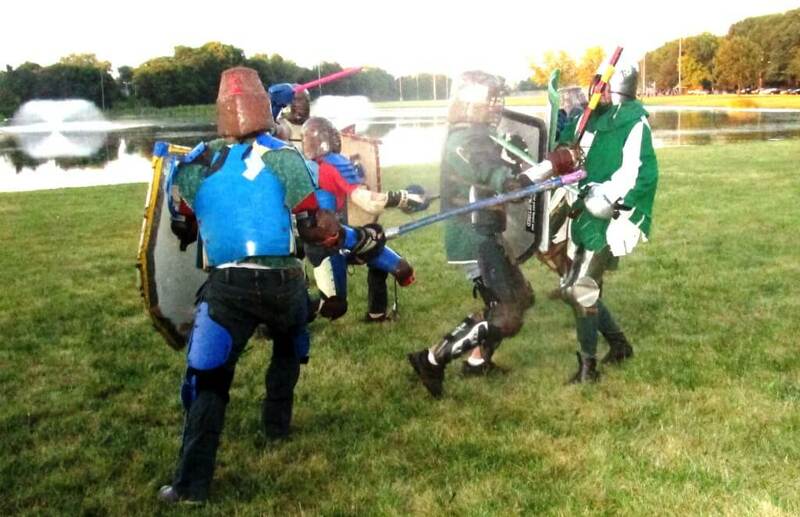 On the banks of Lake Riley, they formed two teams for a melee. 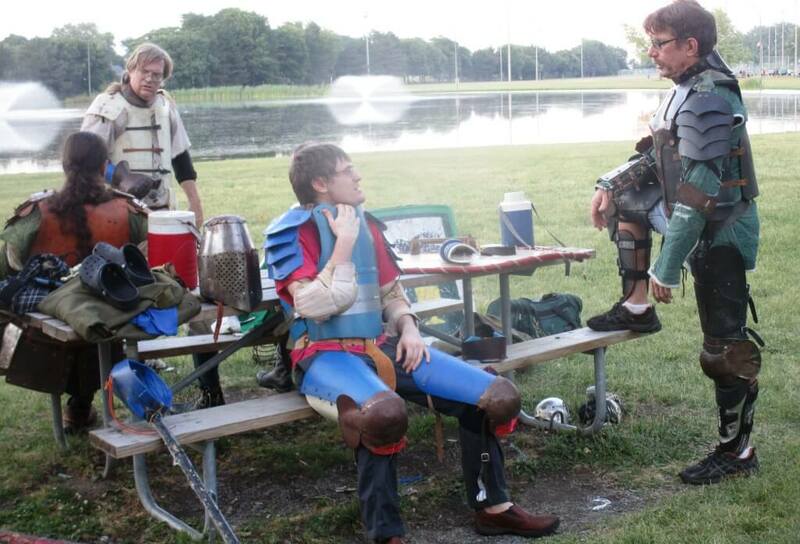 Dressed in a mix of armor pieces both historic and modern, the teams practiced tactics for upcoming tournaments. The goal is to maneuver to gain the advantage of two people fighting just one. In the picture below, Eric in blue has been isolated. Given the rules, Eric must re-engage by getting next to Bob in green and white. Before Eric can re-engage, Bob has a small window for a kill. 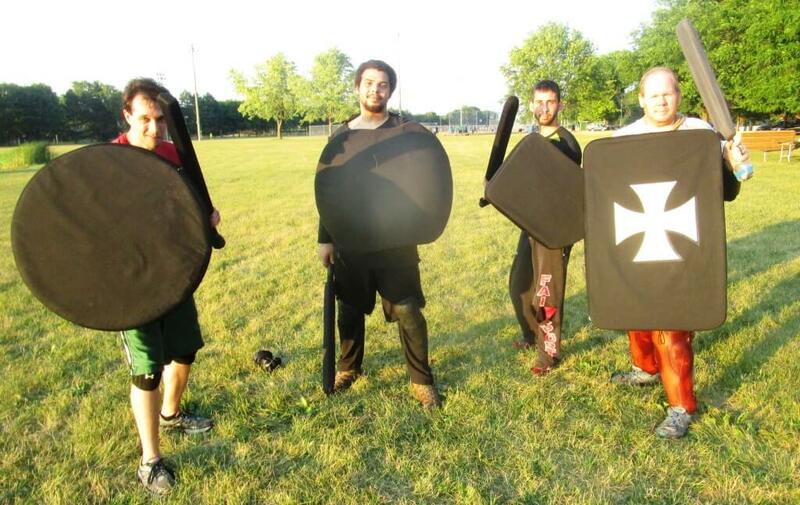 Across the lake, another group of modern day warriors, Daeorhir Battle Gamers, were playing an outdoor version of Dungeons and Dragons. As one member said, you can either play D & D at home and get fat, or enjoy the outdoors and exercise at Cobb’s Hill. In between the warriors, the Cobb’s Hill Drum Circle (a Meet Up group) was enjoying the lively evening. 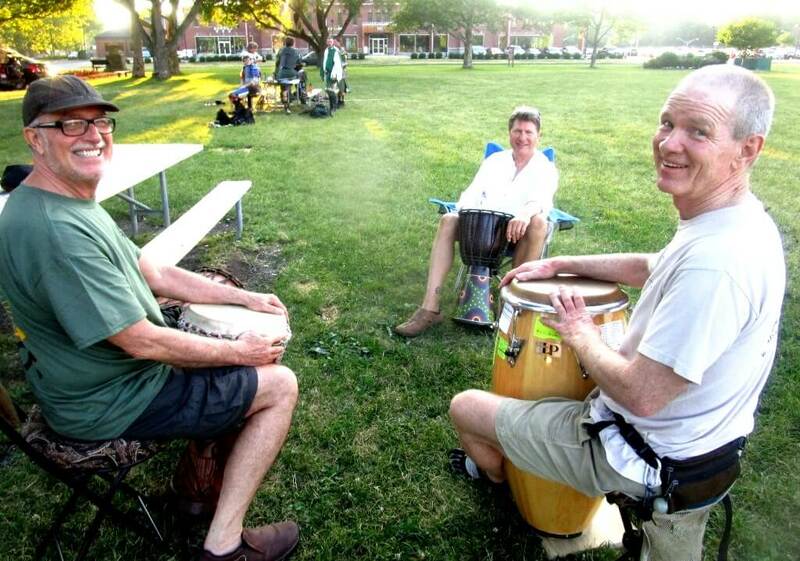 The Drum Circle meets on Monday’s and draws between 3 – 15 people. The musicians said they would rather beat their drums than each other’s heads. Further down were the softball players. 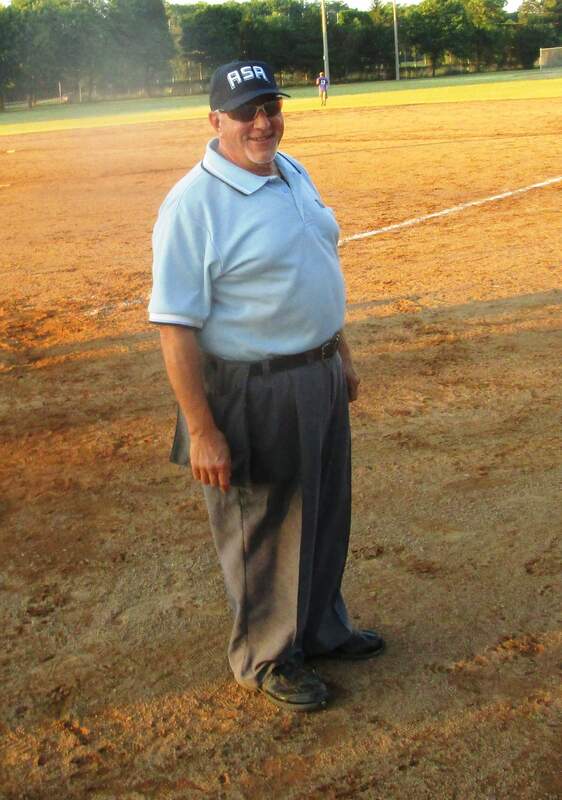 As I am an umpire, I located the most important man on the field, Frank in blue. Frank was captured carrying out the most important task that evening in all of Cobb’s Hill. 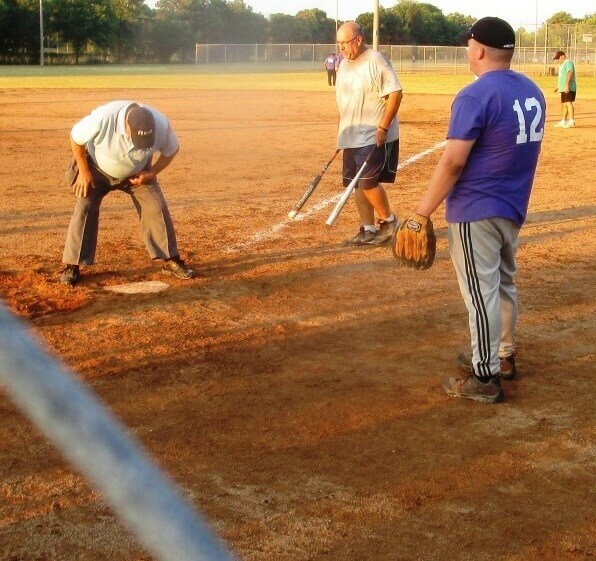 Dusting off home plate. I share Alex sentiments when he says Cobb’s Hill is a tremendous resource for the Upper Monroe Neighborhood and beyond. On a mound at Cobb’s Hill! And how the City of Rochester handles its loose leaves.